Congratulations for finding our secret members' area. Of all the gin-joints in all the world, you had to walk into ours... and boy are we glad you did! Prohibition getting you down? Fed up of being dry? Why not come and take your fill of all the jag-juice, moonshine and giggle-water you can take! Cocktails a-plenty! Come and get zozzled at Kent's - you're only one step away! Our next private member's session will be held on New Year's Eve, so let us know your details below, and we'll send you all the info you need, see? Sure you do. 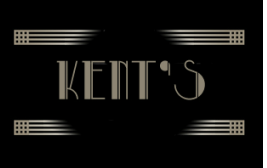 Kent's speakeasy - ain't that the cat's pajamas!